Cartographers of old produced maps that now hang in art galleries, living rooms, and libraries. They were works of art, embellished with the cartographer’s personality – from their handwriting to the fanciful borders of the page and sometimes even sea creatures. 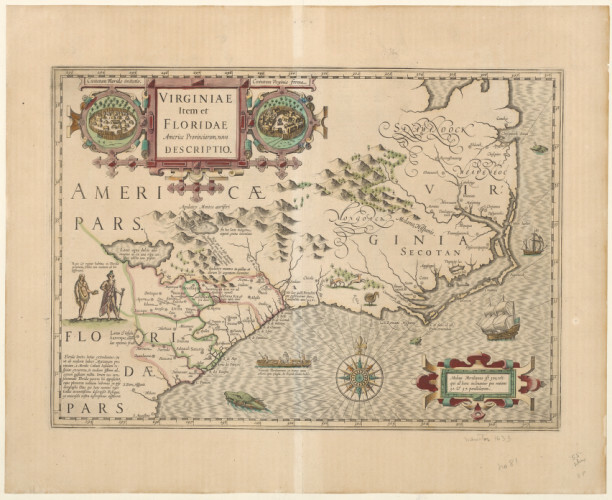 Peruse for a moment this map of North Carolina (then part of the Virginia Colony) from 1636 – the ocean comes complete with ships and large toothy fish, the land depicts the western border of our country back then (the Appalachian mountains) and each tribal territory is nicely color-coded. The map not only gets its message across but says something about the mapmaker. Today’s cartography looks very different.